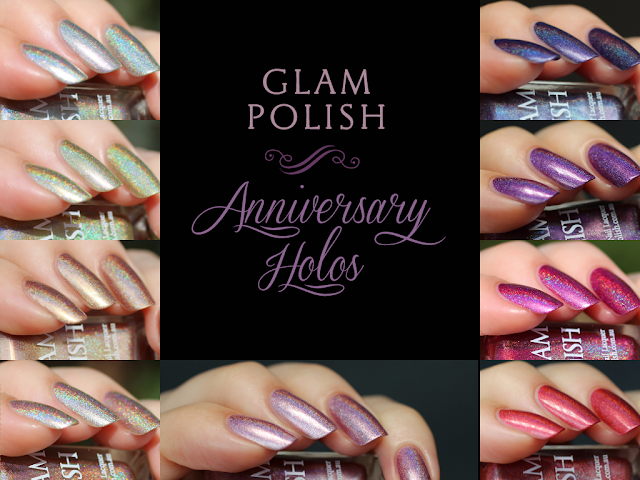 Glam Polish is celebrating their third anniversary with a collection of seriously dazzling "ultra" holos that will blow you away! 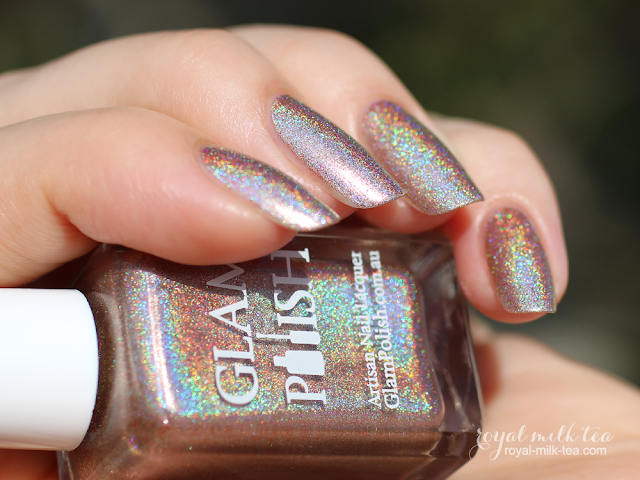 Keep reading to see more photos of these glorious liquid rainbows! 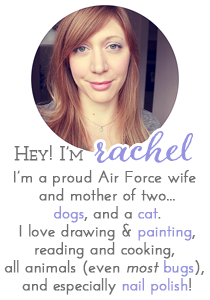 Please forgive the inconsistency of my photos and their lighting! The weather here has not been ideal for photographing holos outdoors, which I prefer. So some colors are shown in full sun while others are under an LED lamp, as well as in indirect lighting. Ornate is a bright platinum-silver metallic with a strong linear holographic effect. This color has a subtle antique tint to it that makes it truly extraordinary! 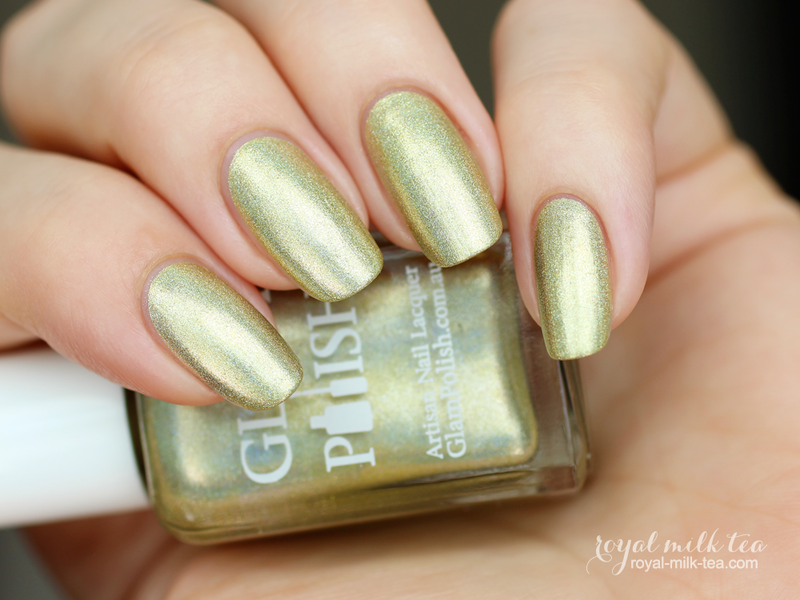 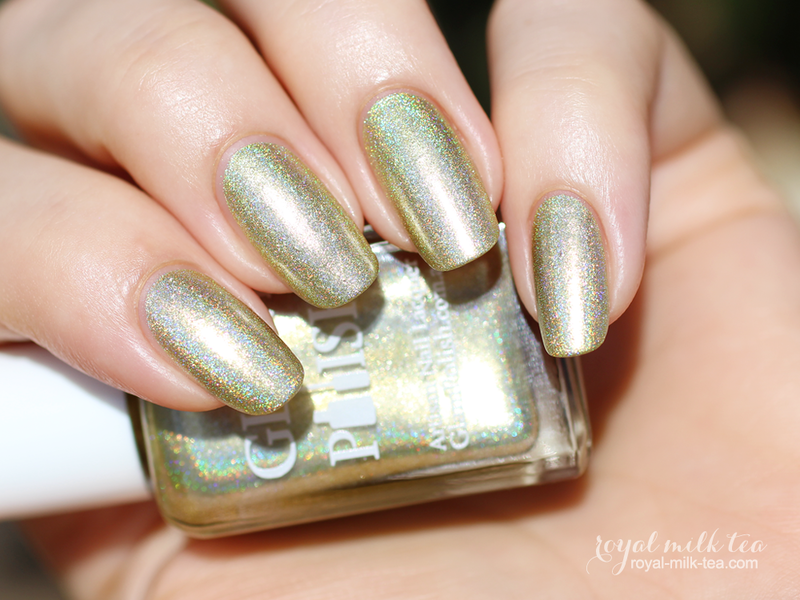 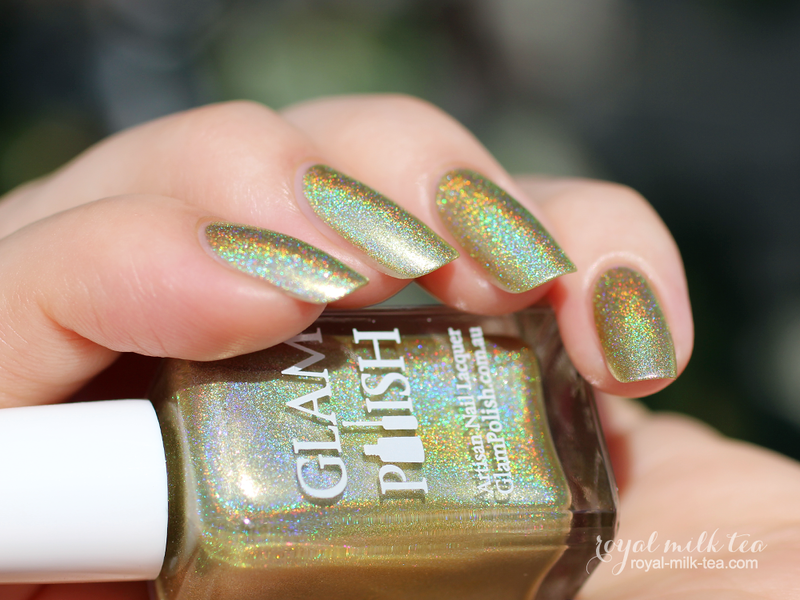 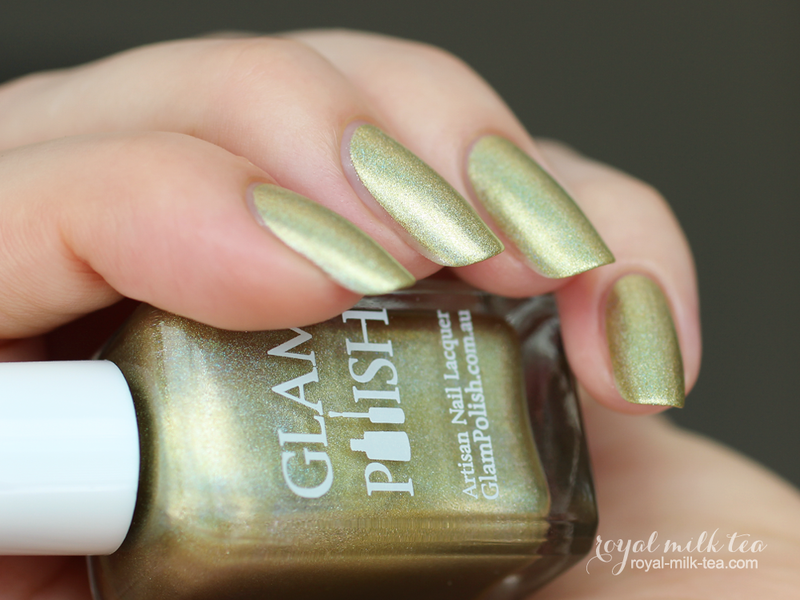 Gilded is a bright, slightly green-toned metallic gold with a strong linear holographic effect. 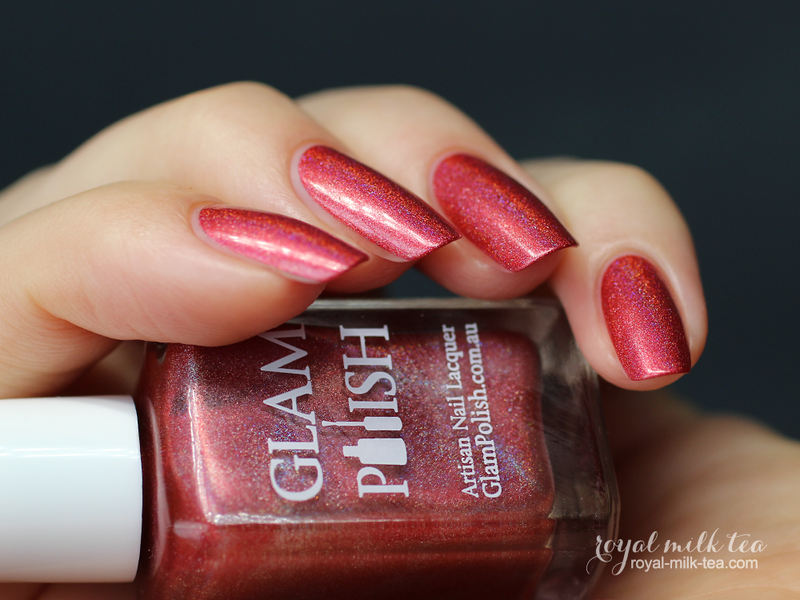 Just ignore my lobster hands and look at how amazing this color is, I love it! 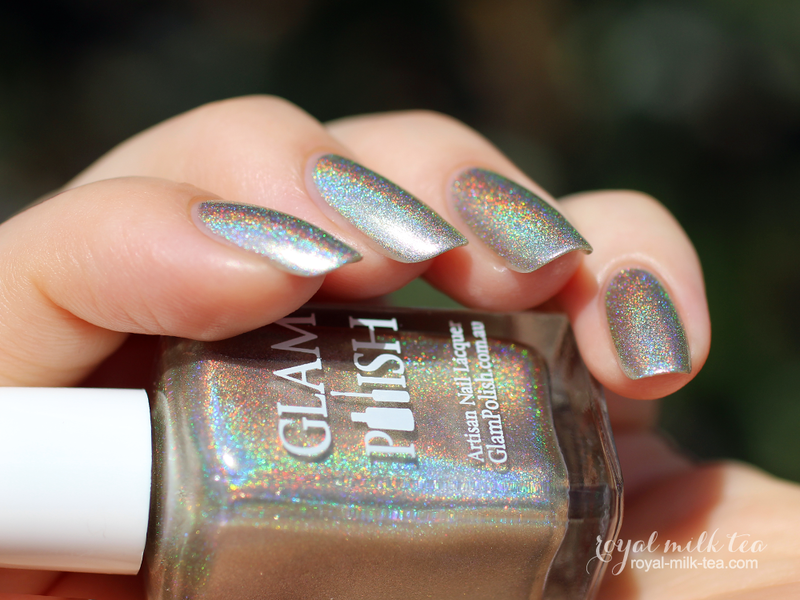 Exquisite is a silver with tiny copper flecks (making it appear as a lovely pale champagne color) with a strong linear holographic effect. 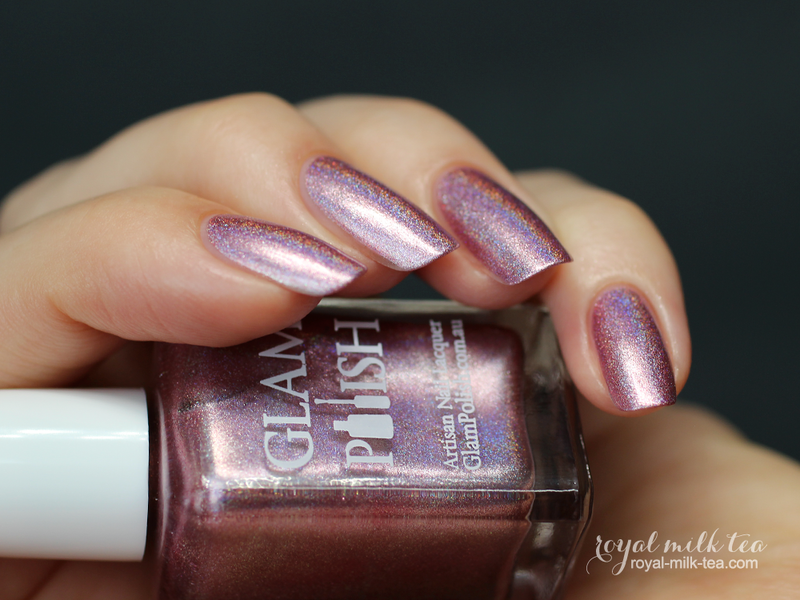 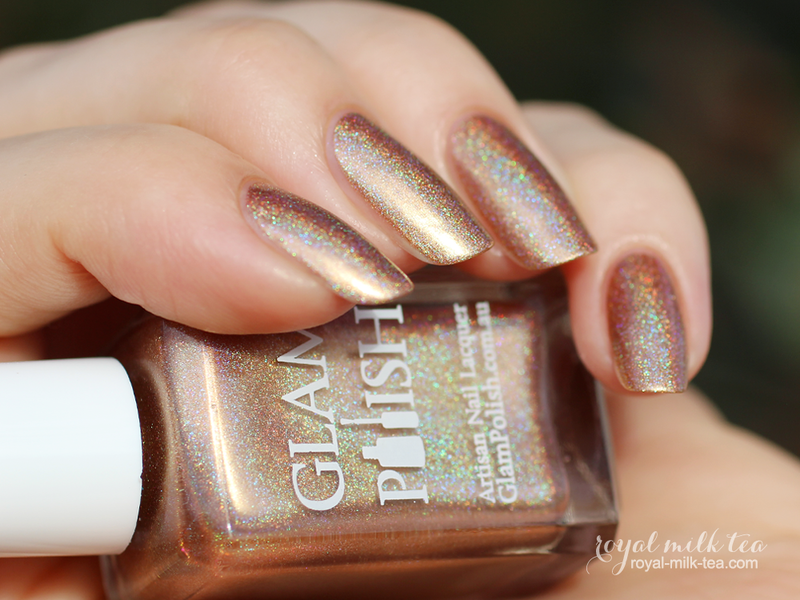 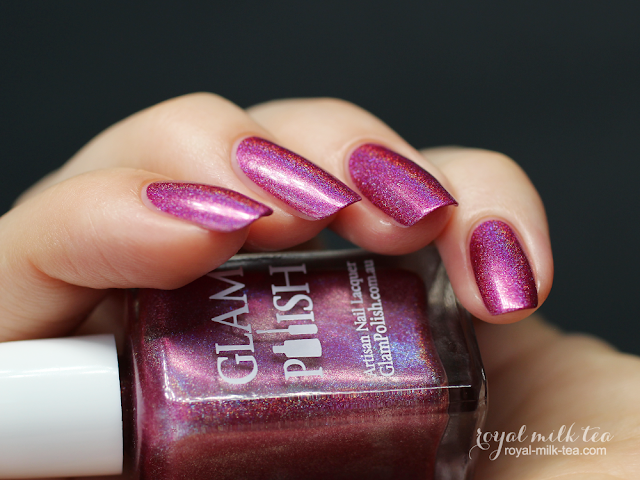 Very beautiful color, with a crazy-strong holo! 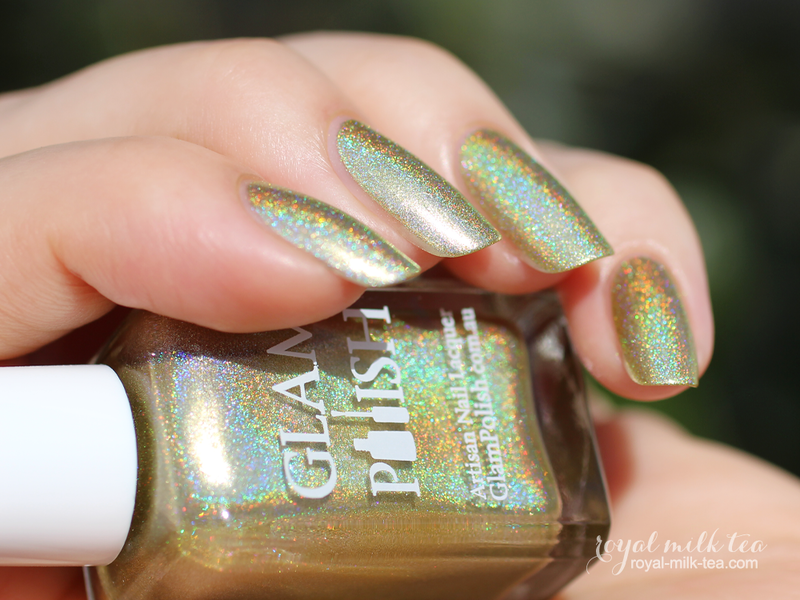 Opulent is a light antique brass/copper metallic with a strong linear holographic effect. 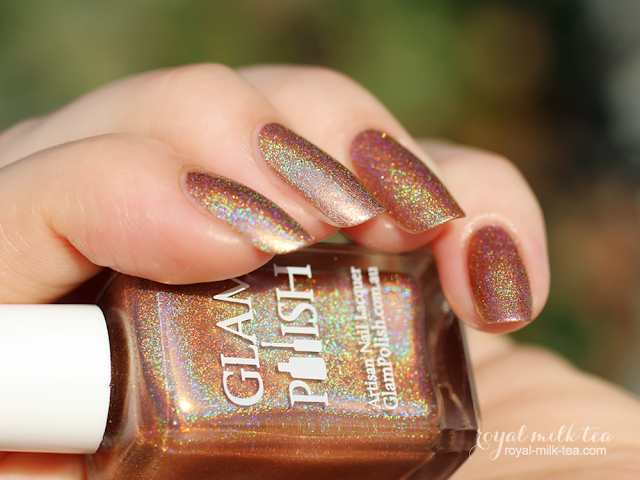 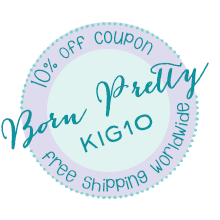 I loove this color, it's so different and interesting! 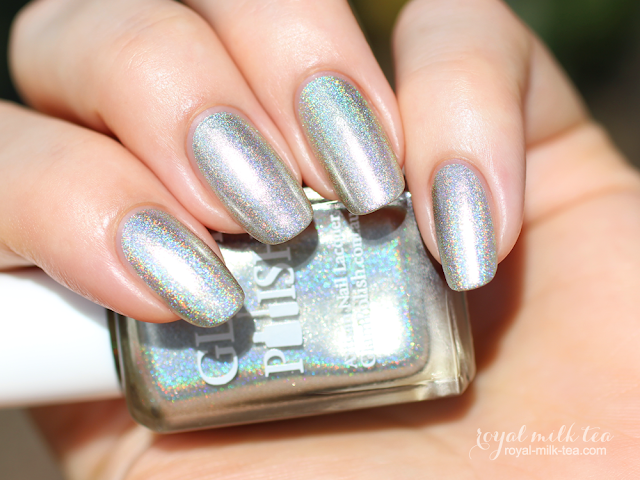 My two photos in indirect lighting (above and below) are the most color-accurate, but I wanted to show as much of the brilliant holo as I could! 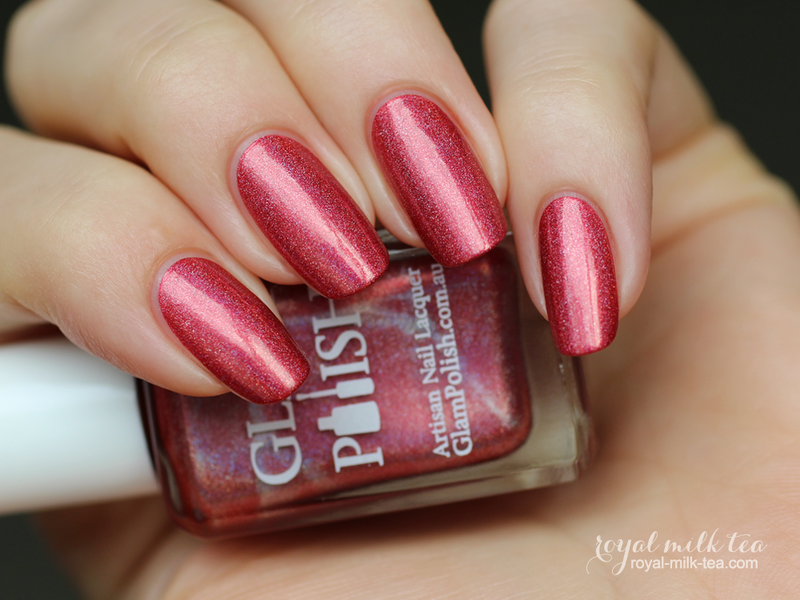 Rapture is a rich, dusty poppy/cayenne red metallic with a strong linear holographic effect. This is another really beautiful and unusual color, I loved wearing it! 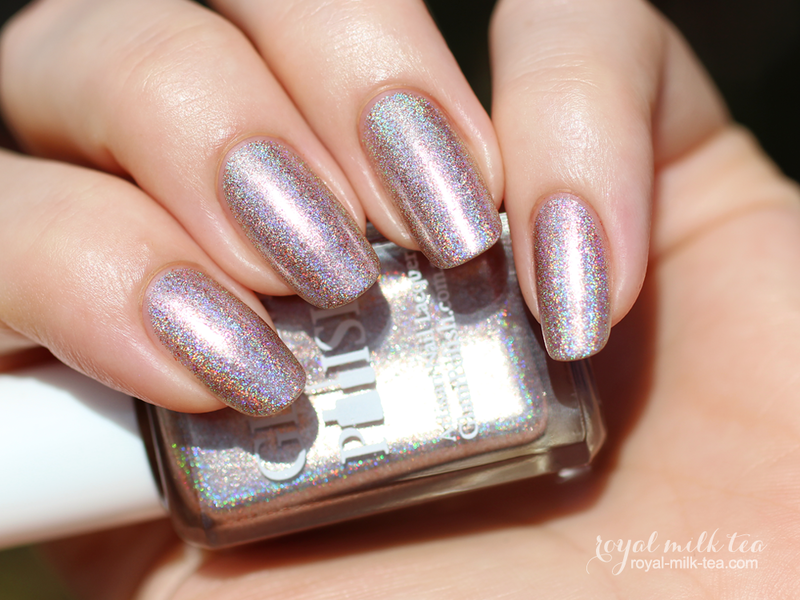 Precious is a silvery, cool-toned metallic pale pink with a foil-like finish and a strong linear holographic effect. 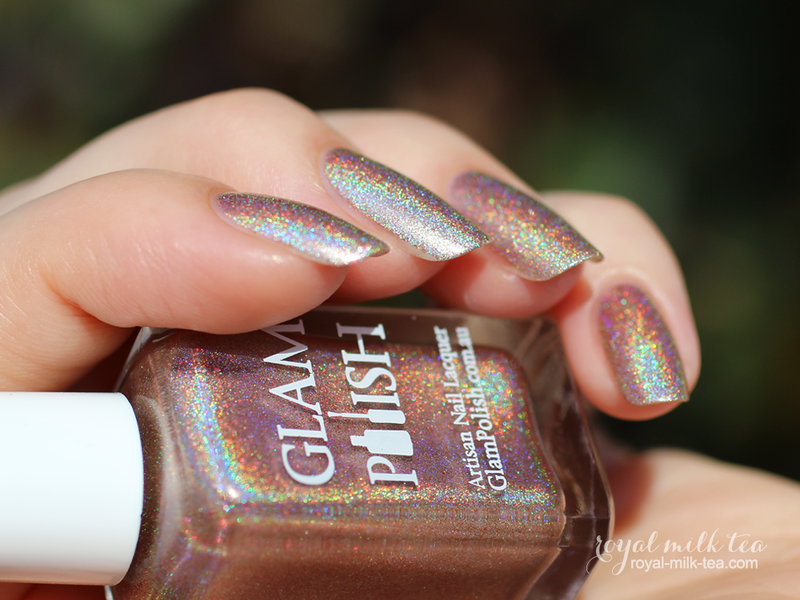 This color probably has the strongest linear holo to it, and I love the subtle reflective metallic finish with this sweet and delicate pink! 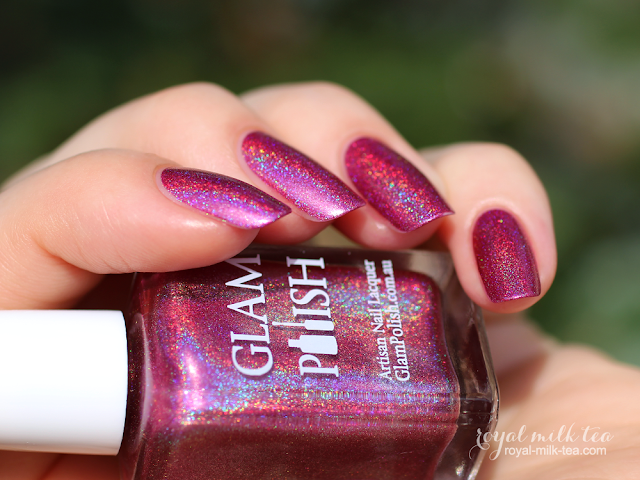 Luscious is a berry/magenta pink metallic with a strong linear holographic effect. 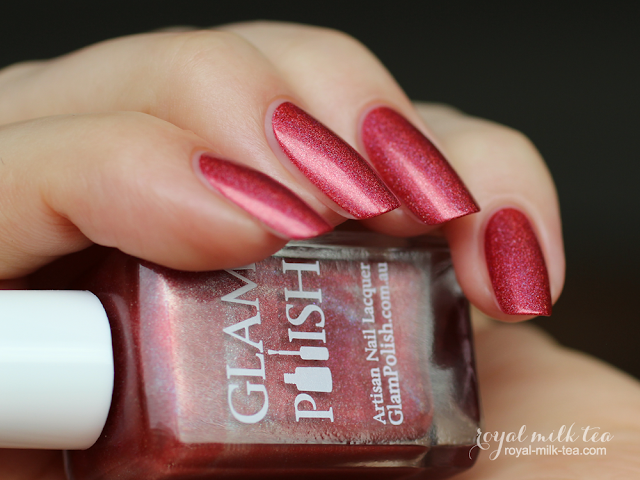 My photos just don't do this color justice in capturing the richness and amazing depth this color has, it must be seen in person! 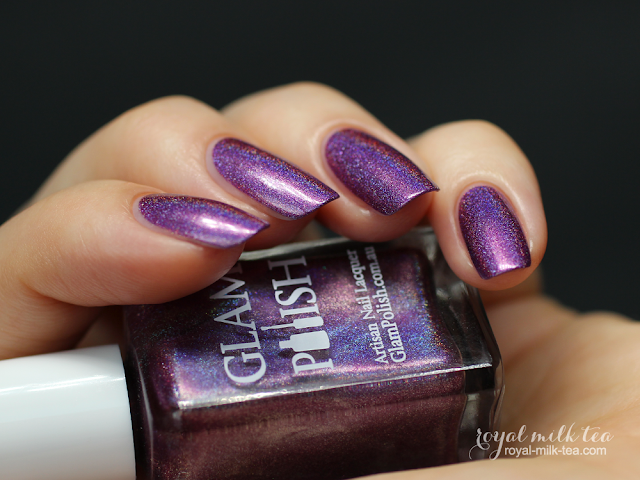 Ecstasy is an amethyst purple with a slightly metallic finish and a strong linear holographic effect. 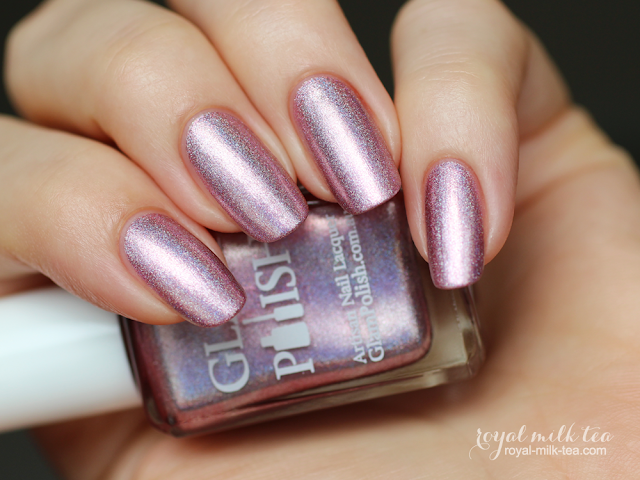 A gorgeous color that appears to have a slight pink flash it! Delirium is a muted blue-violet with a slightly metallic finish and a strong linear holographic effect. 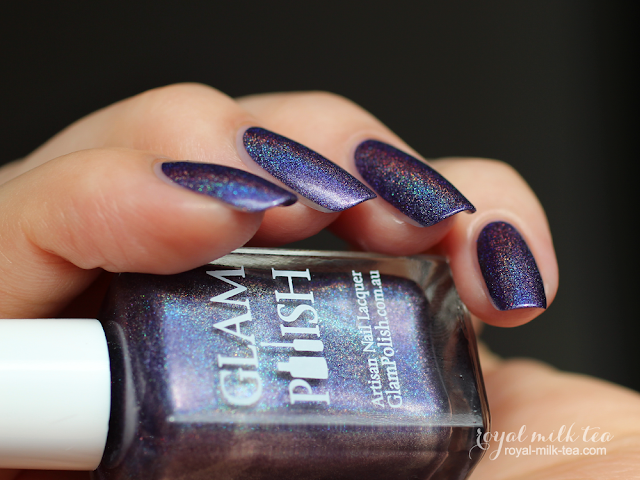 I love the complexity of this color, and how it can look more blue or violet depending on the lighting. All of these colors had consistently flawless formulas that applied smoothly and with great coverage in just two coats! 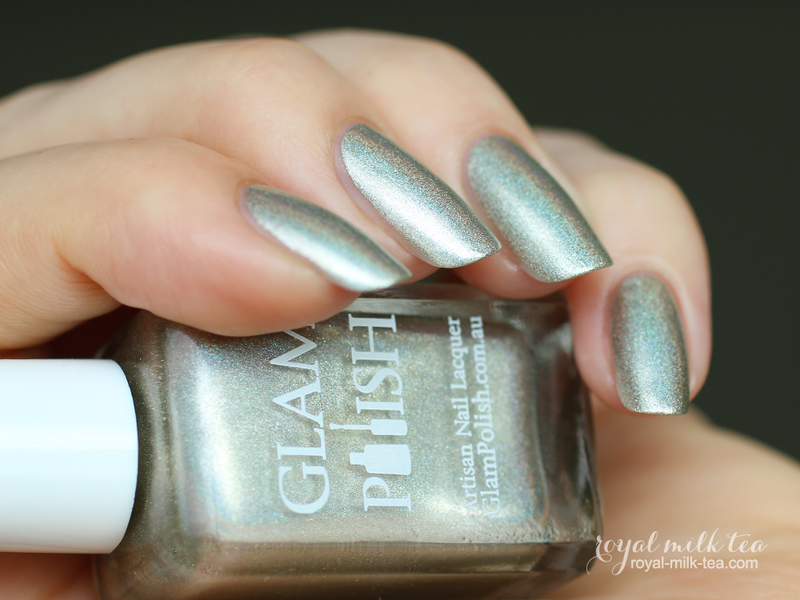 Even the more metallic-finish colors looked very smooth and without brushstrokes. All of my photos show three coats, some with and some without top coat. These are really gorgeous stand-alone colors, but also complement each other beautifully as a set. 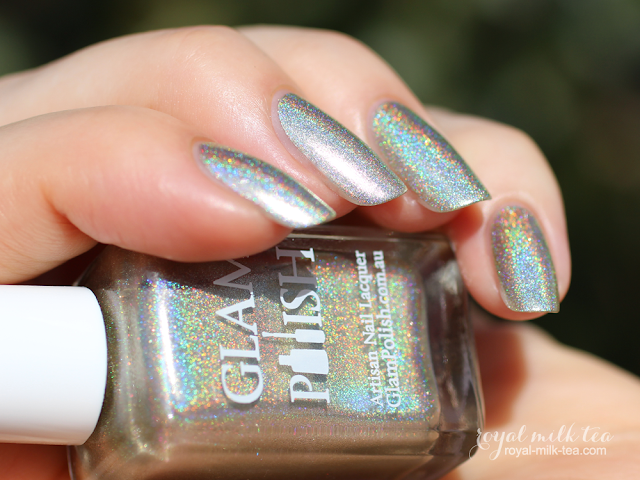 I loved the super strong holo effect these all have, too! 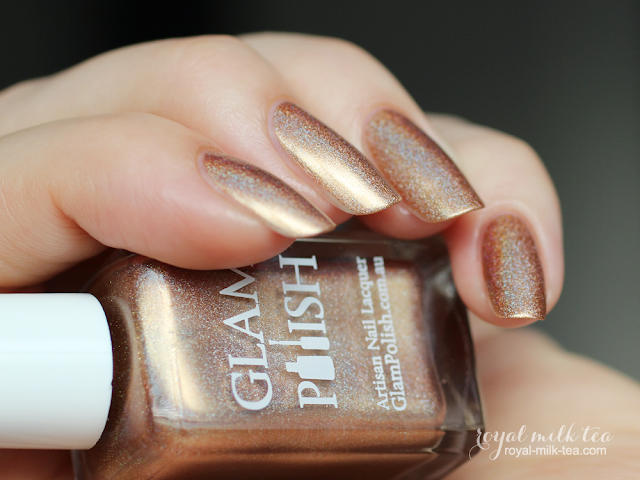 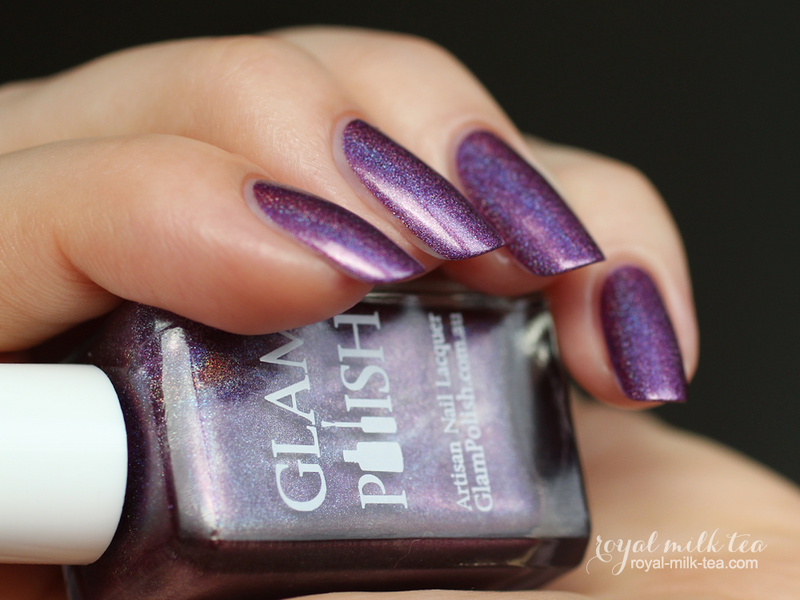 This collection, as well as the new, limited-edition anniversary glitter trio, is available now from Glam Polish's online shop.